Found in forests across eastern Australia, the eastern grey kangaroo (Macropus giganteus) is known as a great kangaroo (along with the red kangaroo and wallaroo) because it is so much bigger than the seventy other kinds of kangaroos. Eastern grey kangaroos live in groups called mobs, which include one dominant male, two or three females with their young, and two or three young males. 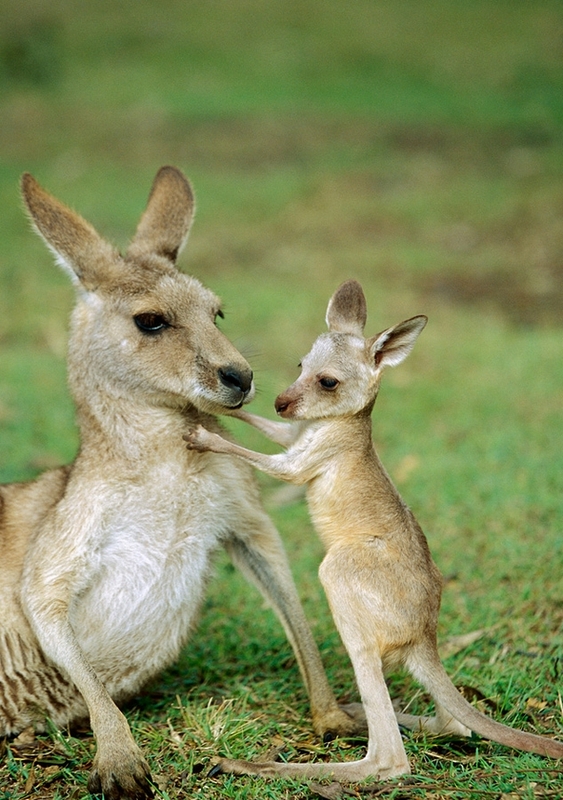 A joey, or baby kangaroo, usually stays in its mother’s pouch for eleven months.